I guess it had to happen at some point: my little brother is gunning for me on-track. No doubt fuelled by revenge for me balancing him on top of the lounge door when he was five – and leaving him there (although he did put toast in my cassette player), Ben gave me a hard time at Snetterton 200 at the weekend, in the sixth round of Bemsee’s Respro Premier 1000 championship. Eight years younger than me and with far less experience on-track ‘Junior’, on his 2010 BMW S1000RR rode fantastically and gave me a hard time in Saturday’s 15-lap feature race, which, I’m sure isn’t the way things are supposed to go. For the wet qualifying session I stupidly took a gamble on slicks in the wet, thinking the track would dry out and qualified last – by over 20 seconds. It’s the second dumb mistake I’ve made in as many meetings, after softening my BMW Park Lane S1000RR too much at Cadwell last time out, on a drying track and going backwards in the race. In the 15-lapper I managed to get through from last to behind Ben in fifth. After passing him and thinking of trying to reel in the leaders, he out-brakes me into Riches and no matter how many times I squeeze back past, the little bugger gets me back and we trip each other up for the rest of the race. I’m sure I didn’t balance him on the door that many times. I managed to get him at the finish, but only just. It’s actually horrible to race your little brother because you don’t want to knock him off, or for him to get hurt, but you can’t let him win either, especially as he stole my lucky race number ‘33’ a couple of years ago and won’t give it back. In the first of Sunday’s races it hosed it down with rain. It was my first ever properly wet ride on my bike (with the correct tyres), so I was learning as I went on and after runaway leader Barry Chapman cleared-off I was battling for a podium slot with Peter Baker and…my bloody brother again, who is lightning in the wet. The little devil was on a mission, even passing Baker around the outside at Corams, but I managed to hang on to them both. I still can’t get my head around how good my Dunlop wets are – kneedown around every corner and hitting a faster top speed down the back straight than the dry (a GPS-recorded 174mph). I think it’s because I was coming on to it slower and could get full throttle sooner – there’s a lesson there. I could even brake at the same dry markers. We were doing 1:20s in the wet, which is two seconds faster than the best of the dry times set by the electric bikes that raced with us at the weekend. With the race almost over, going into the Bomb Hole Ben turned in too early, got on the gas too soon, lost the rear and low-sided right in front of me. He and the bike were ok, but it scared the crap out of me. A lap later Chapman crashed at Murrays and I ended up in second behind Baker at the chequered flag. The final race of the day was dry and I finished fourth behind Chapman, Baker and Danny Fowler. I was two seconds slower than I was here last year - I don’t know why that is, but I missed out on any decent set-up time during Friday practice because of the weather. Ben understandably lost his mojo a bit for the last race and finished a couple of places back. 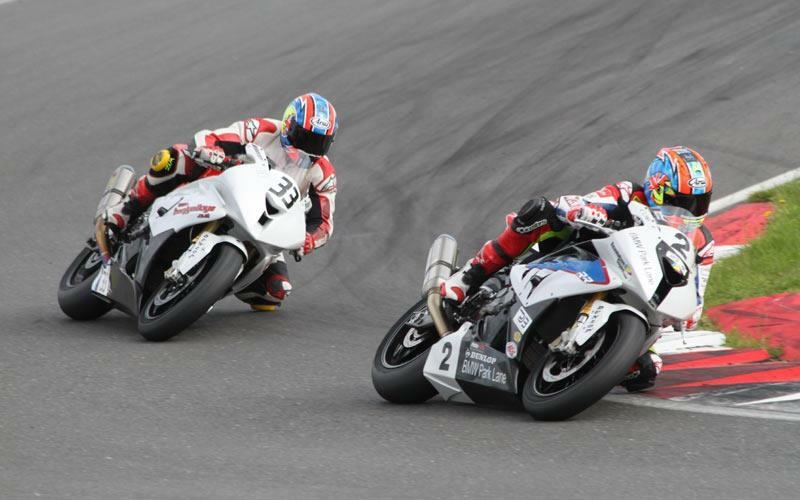 We move on to Brands GP at the end of the month. I can’t wait, as its home for me and Park Lane, who kindly supply me with my bike to race…and if Junior picks on me anymore, I’ll be calling my Mum, as she only lives down the road. Pictures by Jamie Morris and Bryan Lancaster. 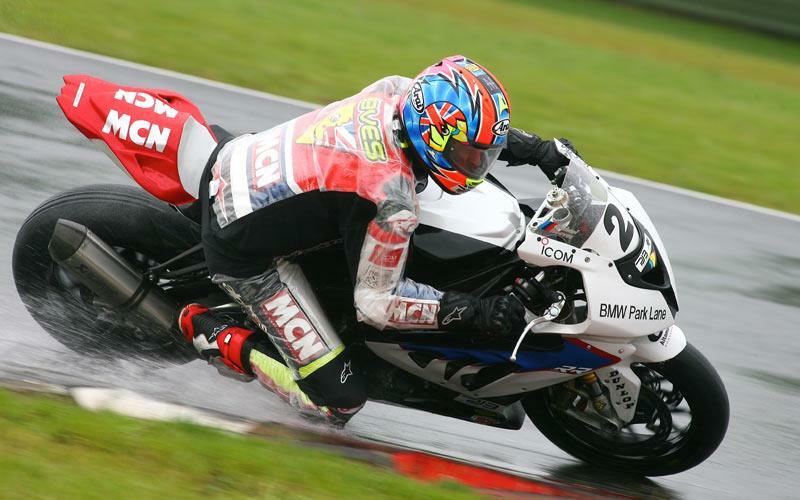 Motorcycle racing is a dream for many people but it’s actually more accessible than you might think.